The Information Technology Infrastructure Library (ITIL) is a set of practices for IT service management (ITSM) that focuses on aligning IT services with the needs of business. 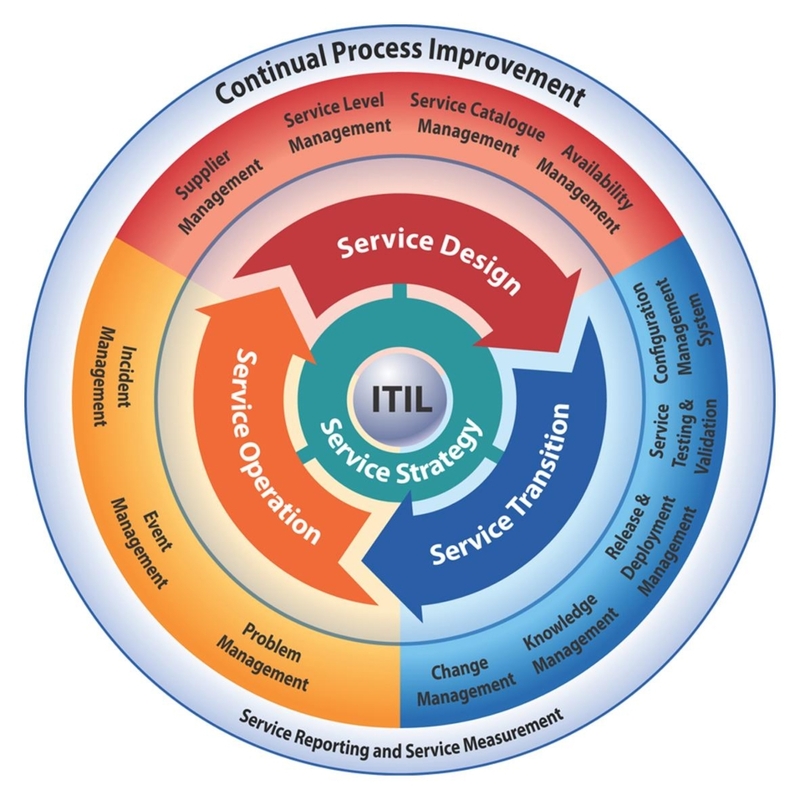 In its current form (known as ITIL 2011 edition), ITIL is published in a series of five core publications, each of which covers an ITSM lifecycle stage. ITIL underpins ISO/IEC 20000 (previously BS15000), the International Service Management Standard for IT service management, although differences between the two frameworks do exist.